Get rid of these things from your bedroom and watch your sleep and quality of life improve. If you’re really trying to make your bedroom as comfortable as it can be, the constant ringing and buzzing of a cell phone should have no place in it. Aside from the seemingly ever-present stressors of social media, cell phones can actually be harmful to your health. Though research is not yet conclusive, the RF frequency emitted by cell phones has been listed by the International Agency for Research on Cancer as a “possible human carcinogen,” according to the CDC. It hasn’t been proven to cause cancer so far, but it can’t hurt to take a break from spending time around your phone each night. Additionally, HuffPost reported that blue light emitted from cell phones can engage our brains during the time we’re supposed to be winding down to sleep and can disrupt melatonin production, contributing to poor sleep patterns. Similar to cell phones, having a TV in your bedroom is just another distraction, and it’s one that can absolutely contribute to sleep deprivation. According to sleep.org, “one problem with bedtime TV watching is simply the temptation to stay up late to find out what happens next.” Another major problem is that it emits blue light, like cell phones, which can disrupt your usual sleep cycle. For one thing, eating in your bed can make it dirty, and if you’re already too lazy to sit at the table to eat, you probably won’t be washing your sheets if something spills. Eating in bed is usually accompanied by another activity, such as TV or reading, which can make it harder to focus on what you’re eating, make it easier to overeat, and put you at a higher risk for indigestion. Food & Wine points out that eating is one of many things you might do in bed that make your brain associate it with things other than sleep, making it more difficult to fall asleep at night because your brain is used to having stimuli there. Regardless, if you do decide to eat in your room, make sure you don’t leave your dirty dishes, as they can attract pests. If you live somewhere where your desk can be someplace other than your room, move it out. You don’t want to associate your place of work with your place of rest. These effects are even worse if it’s your bed that you’re working from. 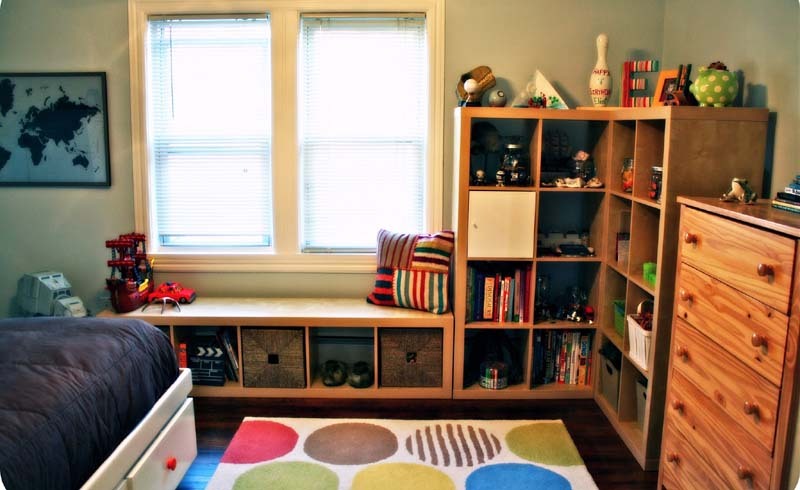 Create a separate space in your home for work, or utilize spaces like libraries or coffee shops. Pets can bring germs, fleas, or even messes if they’re not housebroken yet, according to Everyday Health. But if you regularly groom your dog or cat and bring it for checkups, this risk is minimized. Another potential issue is that your pet could be waking you up if it’s sleeping right next to you, disrupting your sleep. Often, sleeping with a pet can provide the benefits of a feeling of safety, love, and companionship, according to TIME. As much as you love your canine or feline pal, you might have to judge whether it’s worth it to let them stay in your bed if your sleep is constantly interrupted. A good alternative is to make them their own bed in your room, where you can be nearby but still have your space. Your mom was right: You really do need to keep your room clean. 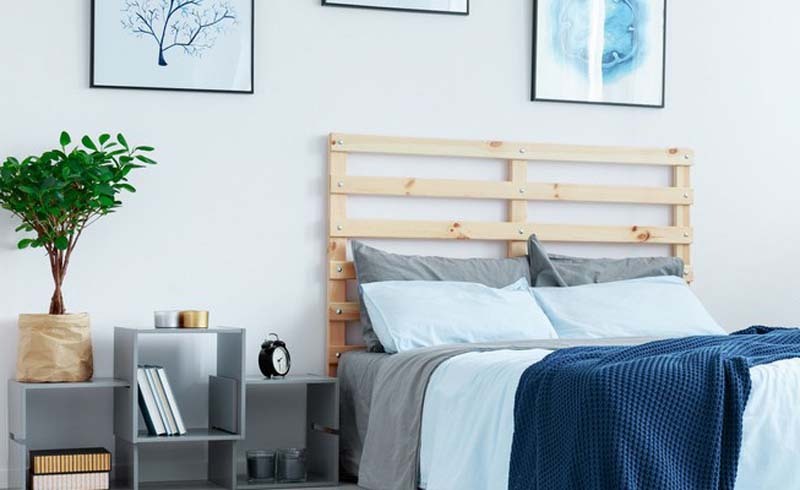 Your bedroom is a space that should work for you, and that’s nearly impossible if it’s cluttered. Psychology Today reported that a messy environment can have significant negative effects on your mental and physical wellbeing. Your room should be the most stress-free place in your life, and if you’re tripping over clutter or constantly thinking of your unfinished cleaning, it can’t be the place it should be. One thing that totally ruins quality sleep is an uncomfortable mattress. If you’re not sleeping as well as you used to and it’s been some time since you got a new mattress, it might be time to invest. Harvard Medical School’s Division of Sleep Medicine recommends that you replace your mattress when it wears it, about every ten years. Your pillow should also suit your sleeping style, as people who prefer different positions need different types of support. Trying to relax? It might not be very easy if you have vibrant, stimulating colors all over your walls. A British survey found that shades of blue, yellow, silver, green, and even orange were most conducive to rest and relaxation, whereas purples, browns, and grays in bedrooms were the worst. Keep the colors muted, and you’ll be feeling more calm and relaxed on a daily basis. The temperature of your room can make or break a good night’s sleep. Your body actually decreases its temperature to prepare for sleep, and a too-warm room can get in the way of that—but being too cold can be uncomfortable and distracting also. The ideal temperature is between 60 and 67 degrees, according to sleep.org. It can vary based on personal preference, but this range is a good starting point to see what’s best for you. Shades, blinds, or curtains are a must to get good quality sleep, especially if you’re a night owl or late riser. Light can obviously wake you up and interrupt important sleep cycles, but what you might not know is that too much light in your sleeping environment has also been linked to heart problems and higher obesity. Of course, these problems could be a result of the consequential sleep deprivation. So keep the light out until you wake up, at which point getting lots of natural light can actually help you wake up and feel alert.